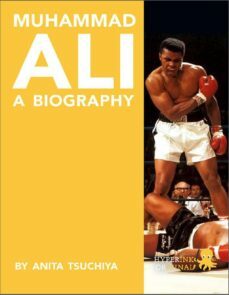 ABOUT THE BOOKAs indicated by the blizzard of 70th birthday tributes published at the start of 2012, Muhammad Ali has the kind of international recognition matched by few public figures living or dead.Ali is arguably the most reviled and beloved spokesman in the history of U.S. civil rights. He danced, boasted, and rhymed his way into our lives with messages about freedom of worship and equality for African Americans. He infuriated the staid patriarchy with his rebellious attitude and rejection of Christianity.Barely literate in conventional reading and writing, Ali was pure genius in the social media of his time, television. He loved being on camera, and the camera adored him right back. He energized a dying sport and, for better or worse, provided the model for sports showmanship and personality marketing that pervades todays spectator events.Even more remarkably, Ali the athlete lived up to his own hype. He reached the pinnacle of his athletic potential and stayed there while surrounded by distractions of every size, shape, and volume. The same sportswriters who hated his politics and religion, grudgingly had to acknowledge that no 200-pound fighter before or since delivered such a lethal combination of speed and grace. He won a record-setting three heavyweight titles in a professional career that spanned 21 years.Ali was a brilliant strategist, inside and outside of the ropes. He understood how psychology could wear an opponent down as effectively as any body blow.His clowning for public consumption was unabashedly exuberant. When the time came to be serious, however, no competitor was more focused or determined.A tempestuous man living through unsettling times, Ali showed a facility for affecting people at their deepest emotional levels. To this day very few people react to him with lukewarm feelings—you either hate him or love him. He has been successful in virtually every aspect of his life, except perhaps his current battle with Parkinsons.